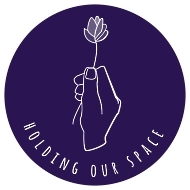 A gathering for anyone who has experienced or is experiencing reproductive loss, broadly defined: infertility, miscarriage, stillbirth, pregnancy release/abortion, termination for medical reasons, failed adoption, living without children. You will find healing activities as we gather and take a few moments to connect with our experiences. We will create a circle and hold space for our feelings in discussion. Of course, sharing is optional. No fee to attend. This group meets once a month on the last Friday of the month.